Electrical, computing, and networking equipment can be fragile, delicate or unusually sized, requiring effective packaging. FCA can design and manufacture a solution for your large electrical, computing, networking, medical or other electrical systems products. No size is too large or too small. 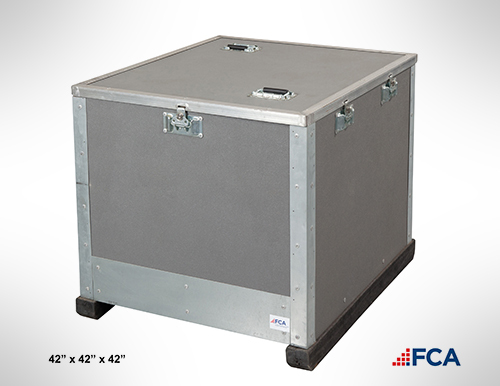 FCA can design and build custom crates and boxes large enough to protect large and heavy electrical equipment. FCA builds wood, steel, plastic and hybrid containers and custom packaging for defense, aerospace, military and government that meet military specifications. FCA builds wood, steel, plastic and hybrid containers and customer packaging for defense, aerospace, military and government. This product housed a high-value antenna for a military aircraft, suspending the product on shock absorbing mounts within the unit. FCA reduced this company’s packaging cost by 67% and the packaging tare weight by over 50%. 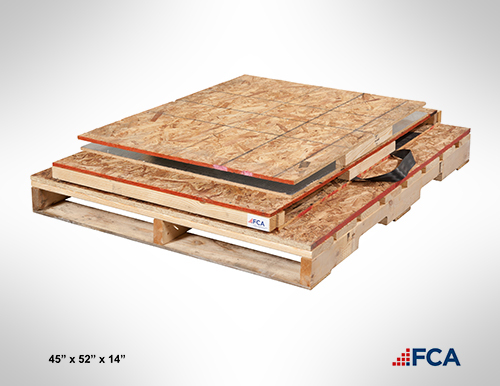 FCA can build durable crates and boxes of any size, dimension, or weight to protect your valuable product. 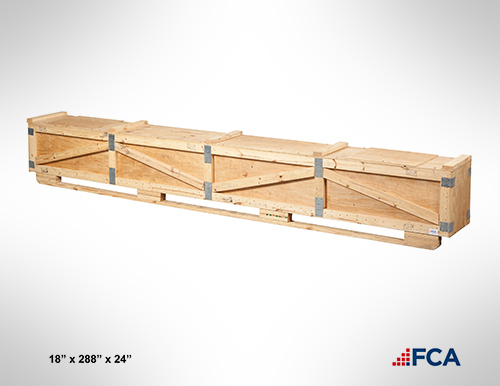 This particularly long crate holds heavy, long rolls of our customer’s paper product and protects it while shipping. 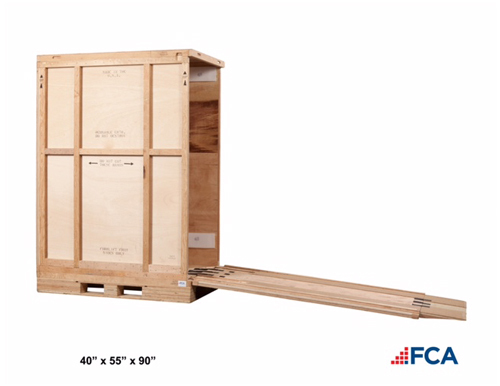 FCA is the leader in collapsible packaging and designs custom collapsible boxes that reduce freight costs and are durable enough to hold equipment weighing several thousand pounds. 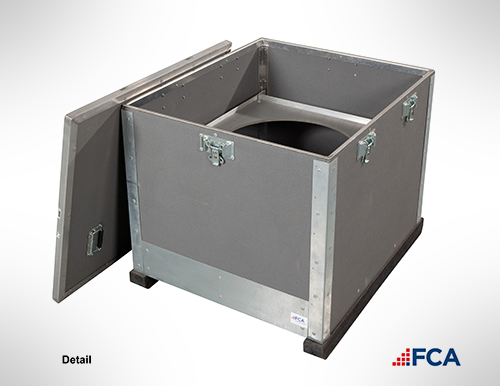 Learn more about FCA’s Collapsible Utility Box (CUB) and how it reduces storage space, lowers freight costs, and improves inventory management. 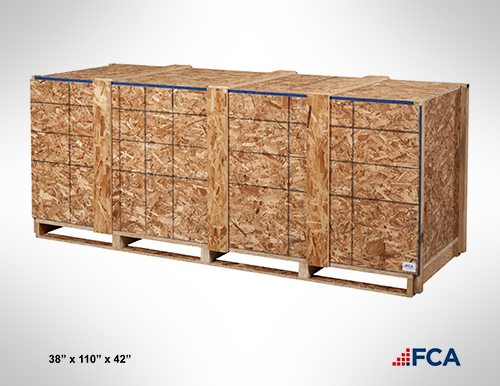 These crates require no tools or brackets, and are ready to set up in less than 5 seconds!